The IGC Planning Committee has issued the first Circular regarding the Draft program for the 34th IGC. Read the circular here. This large and prestigious Geoscience World Congress will be held in Brisbane, Australia, from 5-10 August 2012. The scientific program will cover all aspects of the geosciences. 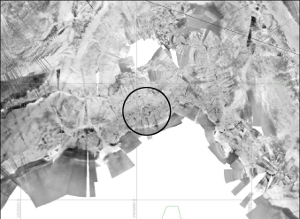 It will demonstrate how geoscience knowledge and applications are contributing directly to meeting societal needs, for example through innovation in the resources and energy based industries, better informed land and water management, enhanced understanding and mitigation of climate change and geohazards, and building major cities and infrastructure. When Robert Smith as Senior Advisor Marine Geophysicist at SOPAC began his exploration of the Monasavu Hydro to determine the amount of sedimentation in the lake, as part of a survey that he began in 1991, in reviewing the data collected with state of the art mapping tools he found more than sedimentation, he discovered a Fijian ring ditch. The use of the Fijian ring ditch was used for fortification, found all over the country and dates back hundreds and hundreds of years. Mr. Smith shared his find during his presentation to participants in the SOPAC/STAR meeting in Nadi recently. A five-day workshop to determine the economic cost of natural disasters in the Pacific will be held in Vanuatu from November 29th through December 2nd. The workshop has been organized to support Pacific island countries towards a clearer understanding of the economic impact of disasters. “This information is of major importance in helping to organize recovery and rehabilitation efforts,” said Paula Holland, SOPAC’S Manager Natural Resources. SOPAC’s Emily Artack, Project Officer and Cartographer of SOPAC’s Maritime Boundaries Project, is on board the French multi-purpose Research Vessel L’Atalante, as it sails throughout the EEZs of Tuvalu, Wallis & Futuna and Tokelau. 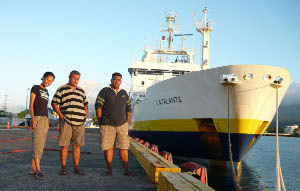 SOPAC provides assistance to 19 Pacific countries and territories through applied geoscience and technology. “In the true spirit of regional cooperation, SOPAC has been invited to participate in this expedition in an observer capacity. As well, Mr Faatasi Malologa and Mr Vakafa Lupe of the Tuvalu Department of Lands and Survey have also been invited to take part in the French Government-funded survey cruise,” said Ms Artack. Our participation in this survey was possible through funding from the University of the Sea programme, based from the University of Sydney, Australia. 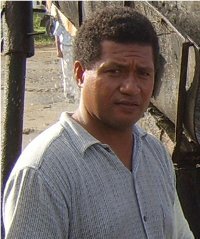 With the first mining of Seabed Massive Sulphides (SMS) deposits less than three years from startup in Papua New Guinea, Pacific Island countries have been urged to encourage mineral exploration within their Exclusive Economic Zone (EEZ) by SOPAC’s Akuila Tawake, SOPAC’s Aggregate Geologist. EEZ is the two hundred nautical miles internationally recognized ocean zone reaching out from a coastline of a Pacific island country. All economic activity within the zone belongs to that country including its mineral wealth. 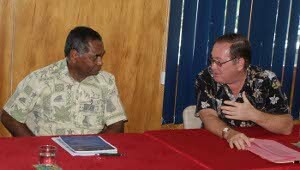 Mr. Tawake, speaking at the SOPAC/STAR meeting held in Nadi this week, said that based on the results of previous studies, a number of the island countries have marine mineral potential. Akura Ltd. could begin drilling for gas in Fiji as early as next year, subject to the necessary approvals, according to its Managing Director, Bill Brook. Mr. Brook made the announcement at the SOPAC/STAR meeting now being held in Nadi. 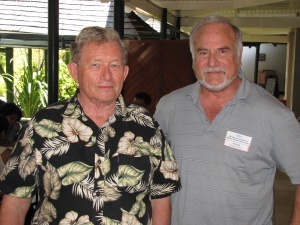 SOPAC provides assistance to 19 island countries in the Pacific region through applied geoscience and technology. Akura is a largely Fiji-owned company that has been given an exclusive 5 year exploration licence to search for oil over a 17,600 square kilometre area from August last year. Three years ago, the Pacific Islands Forum members decided to rationalize the operation of SOPAC (Pacific Islands Applied Geoscience Commission) into SPC (Secretariat of the Pacific Community) and SPREP (Pacific Regional Environment Programme). While the decision of rationalisation was made, how the organisational restructure would work was not. 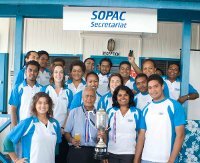 In a historic victory that humbled the competition that included aid agencies, high commissions and embassies, the ebullient SOPAC team walked away with top honours at the 2010 Mini Olympics held at Yat Sen School in Suva recently. The team was hosted to a celebration lunch at SOPAC headquarters last Friday where some of the winning team posed for this picture (below).